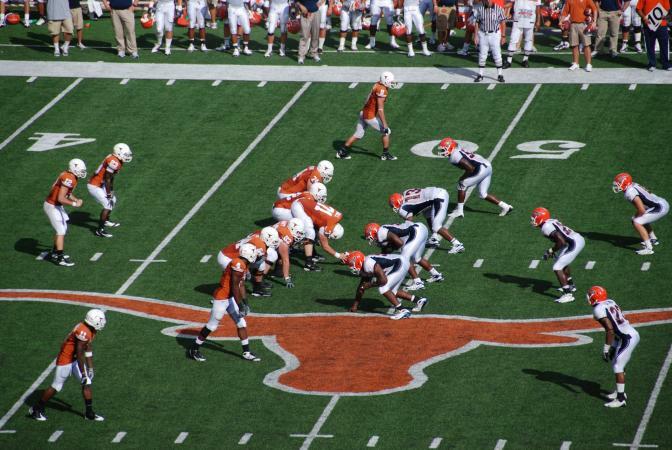 College football is among the three most popular sports in America, ranking as a fan favorite just after the National Football League (NFL) and Major League Baseball (MLB) in a 2014 Harris Poll. With such an extensive and loyal fan base, the "strong popularity of college football among millions of fans across the country" noted by the National Football Foundation, is not surprising. According to Reference.com, "college football generated over 1.2 billion live minutes viewed," in 2014. "During the same year, over "200 million people watch(ed) college football live on average through television, video streaming and game attendance." That's a lot of football games to watch, so you might want to find some alternate ways to keep up with what's going on! Score reports: With so many games taking place each weekend, if you want to keep up with the outcome of various games, you'll need to know where to find college football scores. Rankings: When you follow college football, you'll hear information about how teams are ranked throughout the year, during pre-season, once games begin and as the playoff season draws near. Developing an understanding of the various college football rankings and what they mean can help you get a sense of how your favorite teams are doing as compared to the frontrunners. Understanding the odds: Get a sense of who the favorites and underdogs are by checking out stats provided by football handicappers. Divisions: While big-time college football may get most of the media attention, college football takes place at schools of all sizes, from small private colleges to major universities known for winning championships. Learning about the various college athletic divisions will provide you with some perspectives. Finances: With so much talk about football and the big business that goes along with it (TV contracts, enormous stadiums, large coaching salaries, endorsements, etc. ), it's natural to wonder about the impact of money on this amateur sport. If this interests you, take some time to learn about the complexities behind the question of whether college football makes money. There is nothing quite like seeing a game in person. It is a unique experience that is quite different from watching on television or your favorite mobile device. Tickets: If you want to attend a game in person, of course you'll need to get your hands on some tickets. The difficulty depends on the popularity of the matchup you want to see. 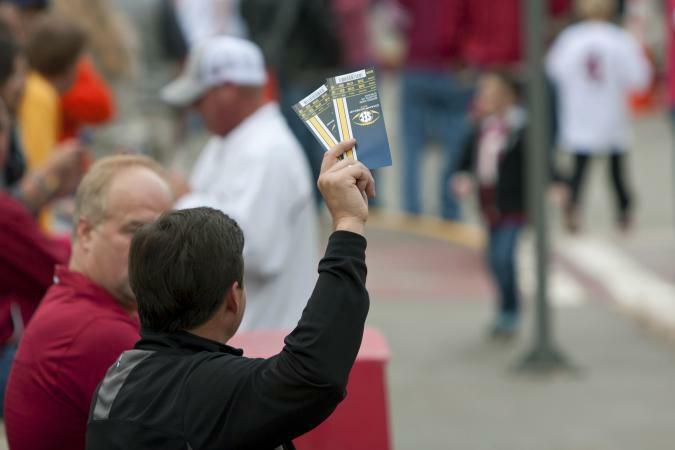 Knowing how to get college football tickets can make the difference between getting in or being shut out. Game-day activities: If you're heading to campus for a game, there are plenty of awesome college football activities to enjoy! From pre-game events like pep rallies and tailgating, to the pageantry that takes place leading up to kickoff and during the game, there's just nothing like experiencing a game for yourself. Make some noise: Get into the game and join (or lead!) the crowd with favorite football sideline cheers and chants. Of course, you don't have to attend games in person to enjoy the sport, even if you're a superfan. 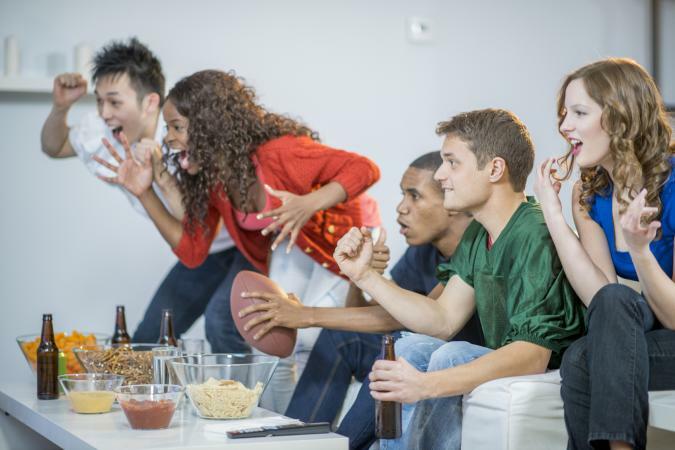 Game day is a terrific excuse to throw a football party, or attend one with friends! Theme: Go all out for your game day gathering with a cool selection of college football party supplies, including themed invitations, decorations and games. Football food: Prepare a tasty selection of game day treats, including tailgate grilling recipes, a football cake and other football party recipes. Trivia: Amaze your friends and family before, during and after the big game with your extensive knowledge of college football trivia and make a case for which teams represent the best of all-time. With so many ways to enjoy college football season, you'll always have something to do on Saturdays during the fall, with an occasional Thursday or Sunday game thrown in the mix! Celebrate in style and have a great time.